My experiences with assistive technology is limited. The only assistive tech I have really used is using a classroom audio system. This allowed for all students to clearly hear me as I spoke and allowed for those with hearing impairments the ability to hear and understand more clearly. I love the examples the group provided from the teacher at CRP. Those are amazing examples of how assistive tech can change how a classroom functions and it can also make students feel a sense of belonging and empowerment to be more involved in a classroom setting. Another great resource the group shared was Assistive Technology App Finder. This is an easy to use tool that assists teachers, parents and guardians find specific age appropriate apps and games for those children who may benefit from the use of assistive technology. There is a video Top 6 Assistive Technologies for People with Disabilities which provides insight into a variety of apps can transform lives for those who need assitive technology. This video provides many great technologies to assist people who have Parkinson’s, but allowing them a spoon that can intelligently adjustment for someone whose hand is shaking. There is a stabilizer in the handle that allows for 70% reduction in tremor for those who are eating. This is a simple technology but can support people to make them not stress over their tremor. Next, Talkitt was another technology I wanted to highlight from the video. It shares a story about a boy who was born premature. He wasn’t able to speak, therefore Talkitt makes it possible for this boy with a speech deficit so that he is able to communicate using his own voice. “This isn’t standard speech recognition,” said Danny Weissberg, the cofounder and CEO of Voiceitt. “We are using pattern recognition which is personalized for the speaker. For example, a person with Cerebral Palsy might say ‘sho-ko-la’ when he really means to say ‘chocolate.’ The app will recognize that based on the user’s own personalized, pre-recorded dictionary.”Overall, there are so many assistive technologies available that can change the lives of our students. It can create a sense of belonging and acceptance, which to me is a very important trait our students need to have. This week, I have a student with a SETT chromebook because she has a learning disability. This allows her to keep up with the class pace and access technology (Google Read and Write mainly) to support her academically. We have been learning about Residential School in Social Studies since the beginning of the school year and they had a unit test coming up. She had been using quizlet to study. This website allows mini tests to quiz yourself on the content you are studying for. She then said, would I be able to do my test online? After we learned about Socrative, I set her up on there to complete her test. It was a variety of questions such as multiple choice and true or false. This was an extremely effective tool and she felt much more confident completing it on the computer. She also enjoyed the fact that she got immediate feedback on how she did on the test. Below I will post screen shots of the two types of questions and the results after she wrote the test. I chose this tool because it was touched on in class and I wanted to experiment with it! I found it challenging to startup as I didn’t know you had to set up the “room” prior to having students take the test. Once I got her logged in and setup it was fairly smooth. Making a test was extremely simple and my student responded very well to the simple layout and the immediate feedback. I used the tool instead of having the student write a paper copy test and I limited the number of questions she had to completed compared to her peers. I haven’t used the website enough to know the pro’s and con’s but I found a website where someone listed them. Overall, I think I need to experiment more with it to become more effective at using it! Anyone else use it and have any advice? Web 1.0… shift… Web 2.0… shift… Web 3.0! To begin, let’s take a look back at the comparison in Web 1.0 and Web 2.0. My first memories of the internet would have been with Web 1.0. In my world, I used Web 1.0 to communicate on MSN, search cheats to my N64 and Gameboy games as well as playing games such as whyville! Whenever I was searching for information I used AskJeeves as my parents often used it to search. Following this, I made personal web pages to highlight all of my fantastic friends so the world could see… It is crazy how much the internet has evolved and yet still will evolve more! Here is a graphic to interpret internet users in the world. It will continue to rise over time as well. 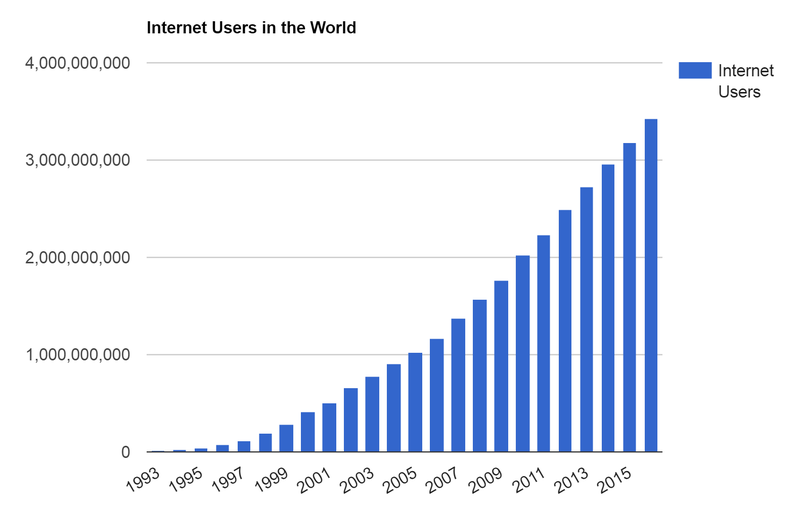 When looking at Web 2.0, this is when the shift happened. Now, people were able to interact on websites which created more online communication, not only through things like MSN, but the ability to leave comments on websites and ask a variety of questions. This article provides insight into the dynamic changes between 1.0 and 2.0. Now that we understand those, how can we begin to prepare for what Web 3.0 will have to offer? Here is a video that is helpful to understand Web 3.0. An example provided: You like action movies and Italian food… you turn on your laptop to open a web browser. Google search: good action movies and then which movie theaters are open. Next, you read some reviews you have found online then search nearest Italian restaurant websites. This may have taken a significant amount of time. Experts think that Web 3.0 will drastically change this. It will make searches faster, easier and more personalized. For example you may search “I want to watch an action movie and then have dinner at an Italian restaurant”. Web 3.0 browsers will demonstrate a list of options and act similar to a personal assistant. The more you use the web searching tools, the easier it will be able to assist you. Then you can begin to add more vague questions and the browser will already have an insight into your likes and dislikes. MIND BLOWN! I can’t even begin to imagine how life changing this will be. What impact does the shift to Web 3.0 have on education? When reading Justine’s blog, she wrote that the issues that already exist with Web 2.0 begin lack of privacy and limited resource allocation will continue t be concerns as we shift to Web 3.0. I think we are already seeing a reliance on technology in the classroom more and more each day. But this is also limited to my current teaching assignment. My school has access to technology very frequently and easily. This may not be the case for everyone. The impact this would have on education will differ between location, socio economic conditions, and teacher training. Even now, some schools have access to technology but teachers feel they are missing professional development to enhance their learning and understanding of how to incorporate this into their teaching. My fear would be that teachers will feel they are losing their value and I wonder if there will be a shift from face to face classes and more geared towards online classes. When would this shift occur? How far are we away from Web 3.0? All in all, I think we need to embrace all of the changes that come with education. As teachers, we can be lifelong learners and stay up to date with the newest trends in education and continue to challenge ourselves to be the best teachers we can. Noredrink.com – a wonderful (and free) website for teaching grammar. It uses ideas that the students generate from their own interests to create lessons at their level. Best of all all of the data is reported back to you. And did I mention – It is free! https://newsela.com/ – a current events newspaper for kids at their level. Even with the free version you still get to assign different articles to your class. There are questions and writing prompts for each article. With the updated version (that you can get for a free trial) you can see the results of all students’ work. CNN10 is ten minutes of the news suitable to middle years students to watch. https://www.bbc.com/bitesize/articles/z3c6tfr – warming the goat’s voice is loud and annoying, use headphones. Online and Blended Learning All the Way! Personally, the idea of online/blended learning has been great for me as a busy, multitasking teacher. Classes such as Alec’s allow to flexibility assignment completion, independent learning, and an ability to connect with classmates outside of “classroom hours” via twitter and the Google + Community. My first experience with online/blended learning was in my Inclusive Ed certificate. It was in a spring semester and we met face to face on four Saturdays, and also had to meet on zoom room on two additional evenings in order to get through the material, collaborate, and use the breakout rooms to complete group assignments. After this, I felt this tool was essential for me as a learner. I am a busy person, but online/blended classes allow that additional flexibility that perhaps a face to face meeting does not. The reason I like Zoom in particular is because…. Breakout rooms: For those who do not like speaking in front of the whole class (whether it be in class or online), the breakout room option allows small group discussion to alleviate stress some may feel about speaking in a larger group. It allows you to gain deeper insight into your classmate’s experiences and provides its own learning environment in a safe secure place. Flexibility: We are in class for an hour and a half that requires a lot of participation and focus. After the class, you don’t feel as exhausted, and you still have energy to complete required readings and prepare yourself for the following week. 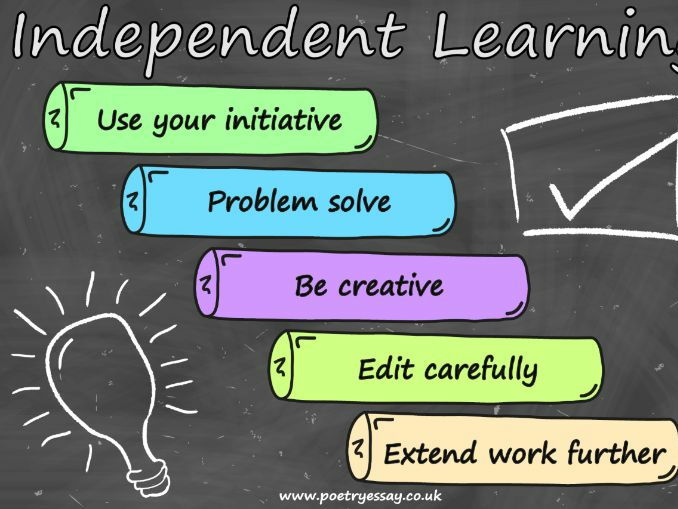 Independence and Group Work: I love that we have to get together with a group to do a presentation because this allows us to network with people, learn from our peers and collaborate which is an essential skill in the teaching world! In addition, we also have a week to complete our blog post which allows accommodation to everyone’s schedules. You are able to complete your work at your own pace and on your own time. This is a lifesaver! Effective online instruction requires a teacher who is able to effectively develop the teacher-student relationship at a distance. 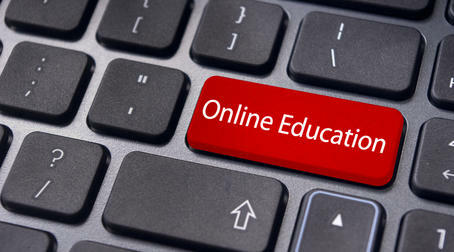 Teaching is all about relationships… and effective online instructors are able to maintain those relationships. Regardless of the environment you are teaching in, online or face to face, I think we all need to realize the value and importance of student teacher relationships. For me, if I didn’t have strong relationships with my students, I feel they would have less trust in me and I would be a less effective teacher. What are your thoughts? Do you have experience with teaching any online classes? Multi or single tasking… that is the question. The internet is a productivity tool but can also lead to distractions. But what is a distraction anyways? Is it defined as a positive or negative thing? What if you get distracted and discover something new…hmm. Often times if I’m searching something up, another idea pops into my brain so I open another tab and search something else so I won’t forget. According to the video, to be fully present on the internet at any given time, poses as a difficult task. People can be fully consumed by technology and not be present in a moment speaking with colleagues or peers. Think back to what life was like without technology. Teachers were viewed as the knowledge keepers and we read books created by experts which passed down knowledge. Now, we have the internet where students have access to every form of information. I think that technology can be a distraction but it is really productive. If we are learning something in Social Studies, and a student asks a question I can’t answer, then I immediately say well let’s look it up as a class. It is an easily accessible source for me to share more knowledge with my students. This can also lead to empower students to want to discover new things and share it with their peers. All this being said, I think there needs to be a balance. We cannot over rely on the internet but we also shouldn’t under utilize it. Teachers and parents need to communicate with their families about the important of using the internet for intended uses and having a balance so we don’t over use our technology. I love Apple’s new initiative for taking data on our Screen Time. My husband and I have been comparing our screen time and it has created interesting dialogue. In an article iOS 12: Getting to know Screen Time and stronger parental controls, and it breaks down what the new IOS has to offer. You can set limits to categories or limit your screen time with a specific app or category. There is also the ability to customize your settings from week to week. This data collection can show you if you are usually your phone productively (doing homework, replying to emails) or not (too much time spent on social media). In an article, Why Single-Tasking is the New Multi-Tasking in 2018,it states that if we are trying to do more than one task, particularly a complex task, it will drastically impact our productivity. Whether you are working on two tasks that have a correlation, you are still sidetracking yourself which affects your productivity. Don’t we all want to be as productive as we can? 1. Try to schedule similar meetings or meetings on the same subject closer together. That way, the information is still fresh in your mind. 2. Organize similar categories of tasks and projects together on your schedule. Again, that keeps in in the same mindset for a longer period of time. 3. Did you know that email is one of the biggest distractions in your day? Schedule email time, in which you tackle and answer your emails in one chunk of time. I think I can be an effective multi tasker, but in the end perhaps it is detrimental…what are your thoughts?